Candidates for a fat transfer should be in good health and have realistic expectations from this procedure. Facial volume loss is part of the aging process and affects patients in varying degrees. 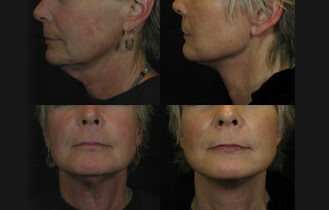 Fat transfer can help restore facial volume loss to achieve a more youthful, natural look. The sites for fat transfer will be carefully chosen to achieve a balanced, natural look that is long lasting. What Areas of my Face can Fat Transfer be Used? With the fat transfer procedure, there is both the donor site (typically the abdomen) and the treatment site (area of the face). The fat is removed from the donor site via liposuction, and then the fat is treated to remove blood, fluids and damaged cells. The fat cells can then be injected into place—typically one strand at a time. When performed this way, results look more natural and last longer. What Can I Expect After a Fat Transfer? Following your fat transfer, you may experience some redness, swelling or bruising—this should subside within 72 hours. In some cases, some of the fat is absorbed into the body. These patients may require another fat transfer. Be sure to carefully follow all instructions from Dr. Chan to ensure a smooth recovery.